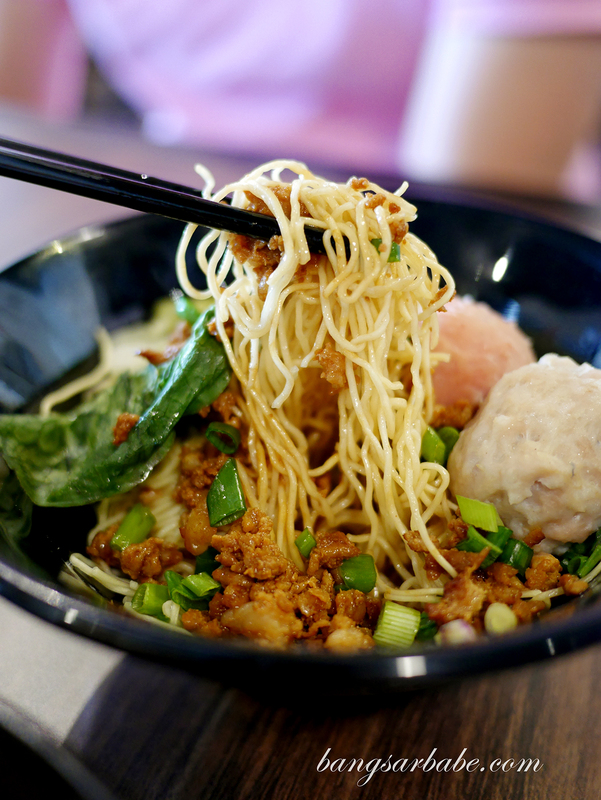 RM12.90 can buy you a meal at many fast food restaurants and most hawker spots, but at OMB Noodle Bar in Cheras, RM12.90 can buy you two bowls of noodles in your choice of flavour. 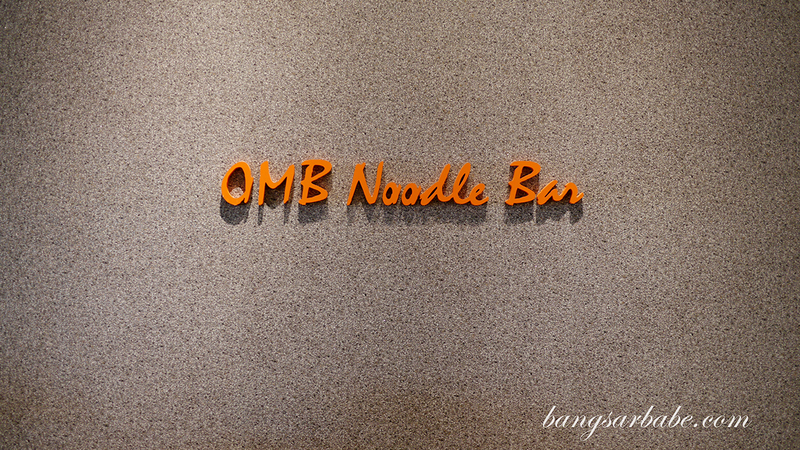 OMB stands for One More Bowl, and offers the concept of two bowls of noodles for the price of one. 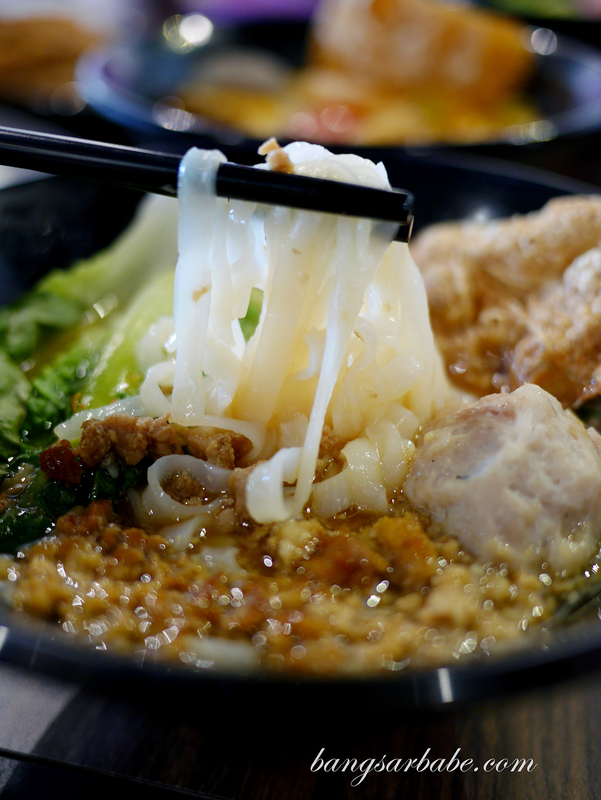 Ordering is fairly straightforward – you basically need to pick the two flavours (four flavours available) you want, and then your choice of noodles (yellow mee, vermicelli, kuay teow or egg noodle). 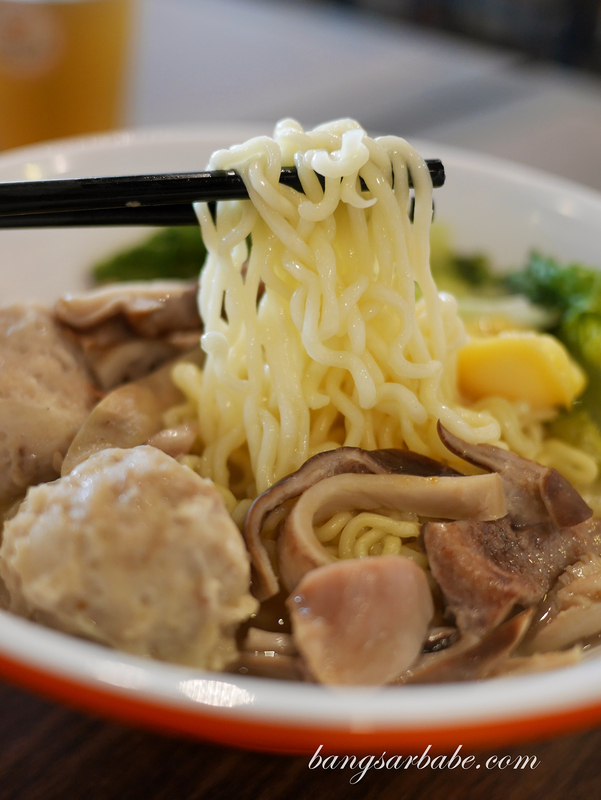 If you’re feeling more indulgent, you can opt for the RM15.90 range where the noodles come with more ingredients and toppings. 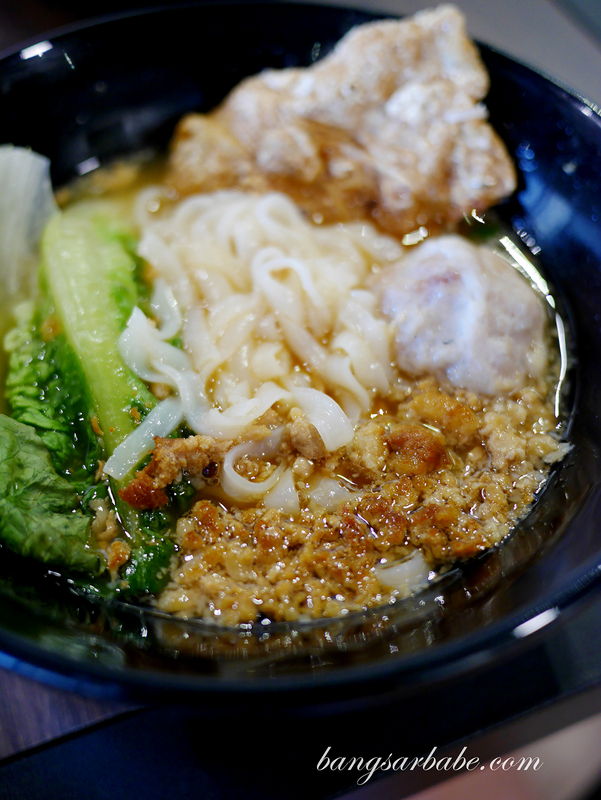 There is also the supreme series where your noodles come with abalone and pork belly slivers at the price of RM29.90. 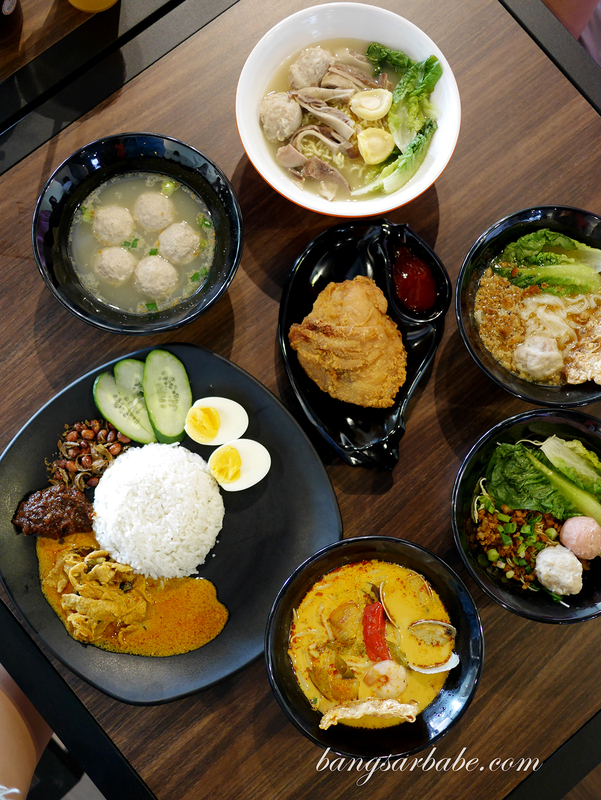 Jien and I tried each of the four flavours available and also the OMB Supreme Pepper Soup with Pork Belly and Abalone. 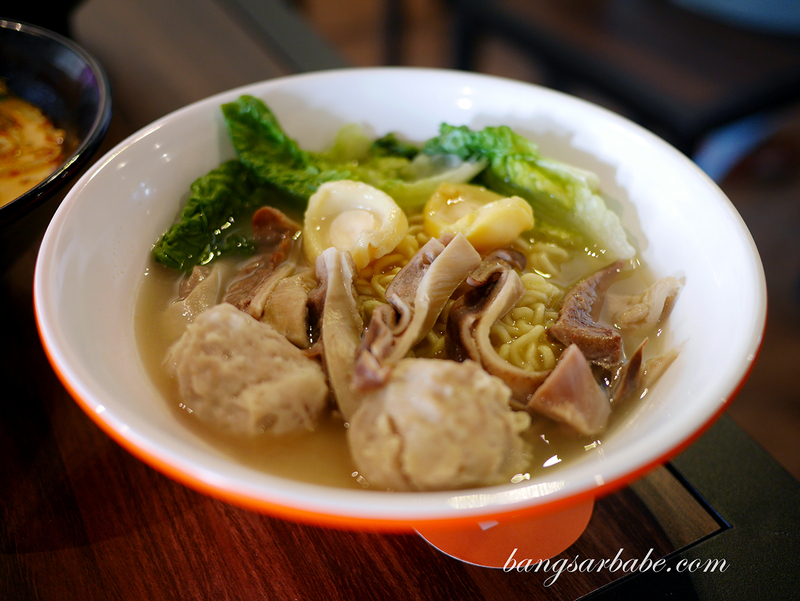 All soup bases are made in-house and my favourites were the pork bone soup and pepper soup. I feel the pepper soup goes best with vermicelli as the ramen version didn’t bring out the peppery notes of the broth. That said, the slivers of pig stomach were tender with little to no smell, so I had no issues eating them. The curry broth tasted a tad sweet for me and it could use a bit more spices to kick things up a notch. 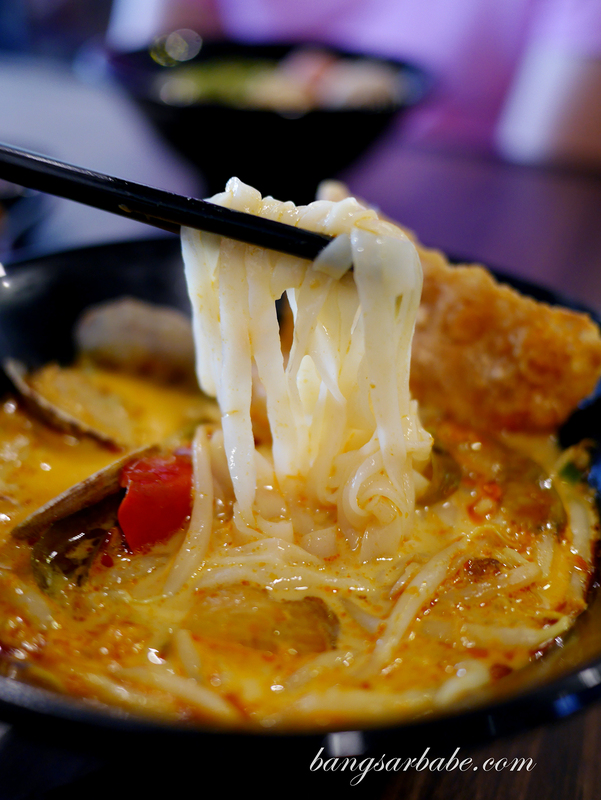 That said, I do think the current version is meant to cater to the crowd as most of them seemed to enjoy the curry noodles. Ramen noodles with pepper soup. I think vermicelli would be a better option. 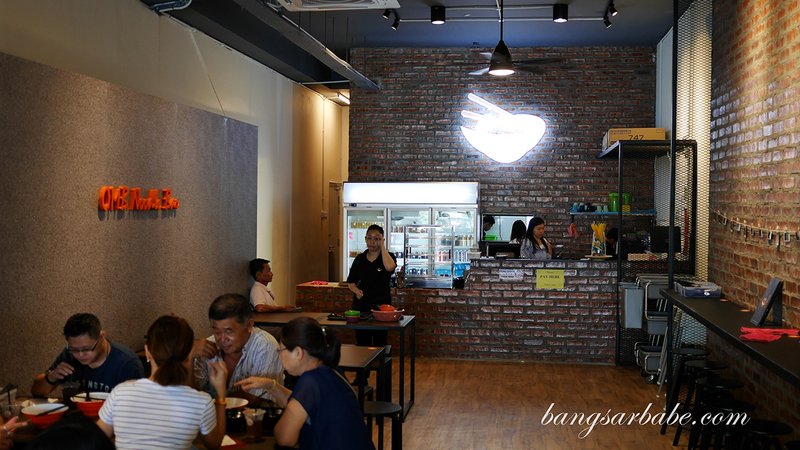 Nasi Lemak is also available at RM12.90 per plate, and you get a choice of rendang chicken, Bibi fried chicken or dried curry pork to go with it. We went for the dried curry pork, which was pretty decent stuff. 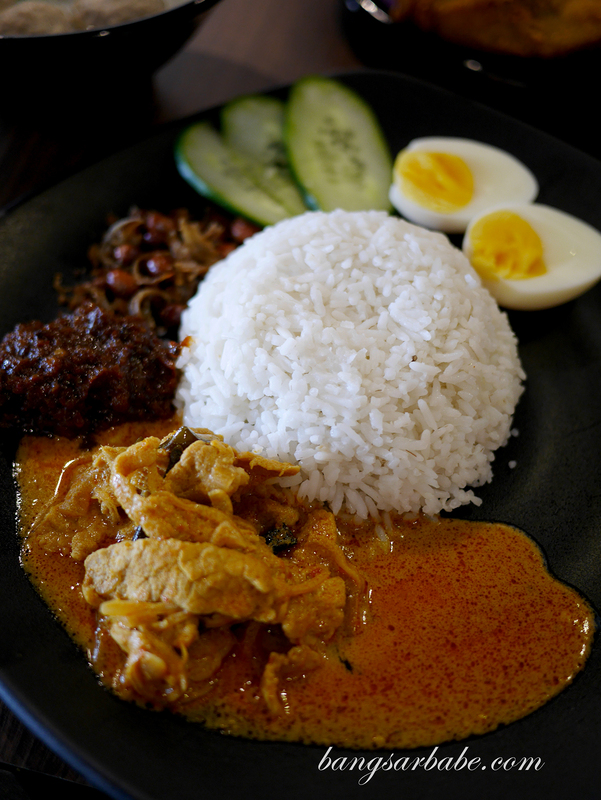 The rice was fragrant enough from the coconut milk and the sambal was sweet from the caramelised onions. I would have preferred it spicier though. 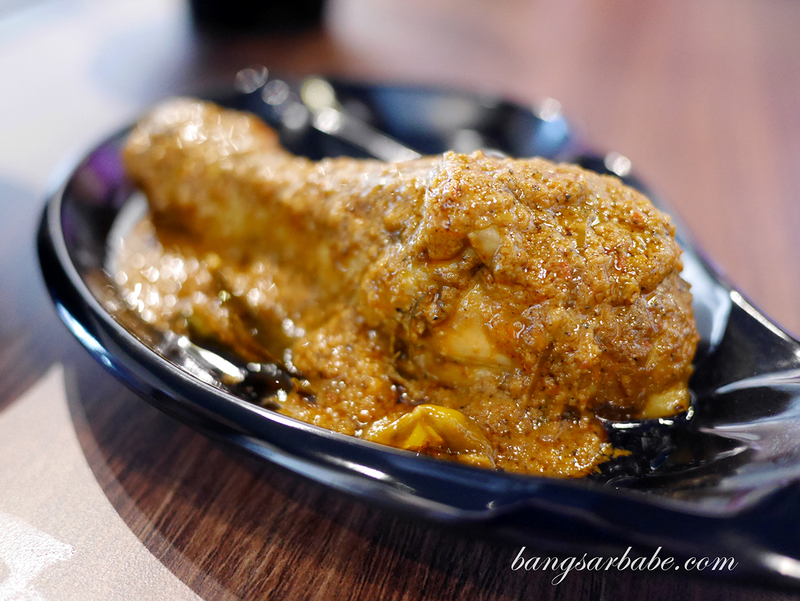 We also sampled a portion of rendang chicken (RM5.90), which was not bad but I liked the dried curry pork better. The latter was stronger in “rempah” flavour while the chicken was a tad mild and sweet for my liking. 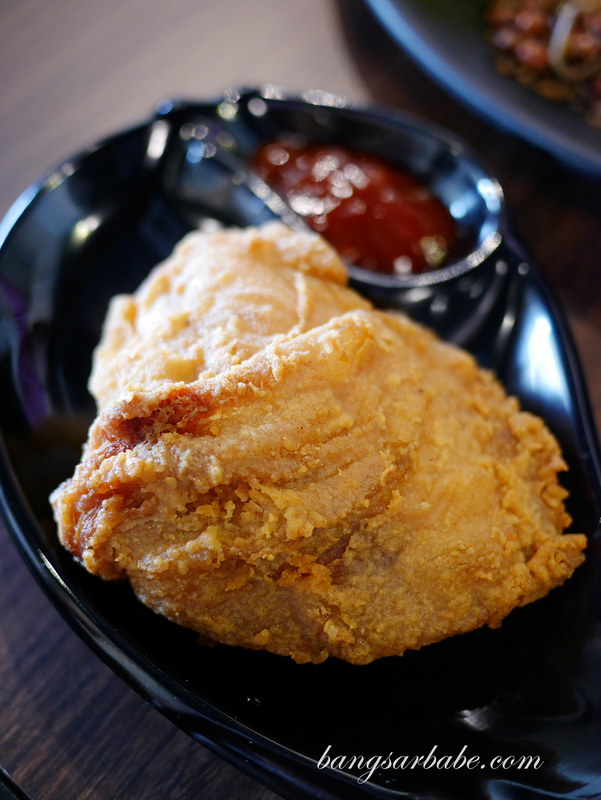 I rather enjoyed the Bibi fried chicken (RM5.50) as it was nicely seasoned and cooked just right, so the meat was tender. 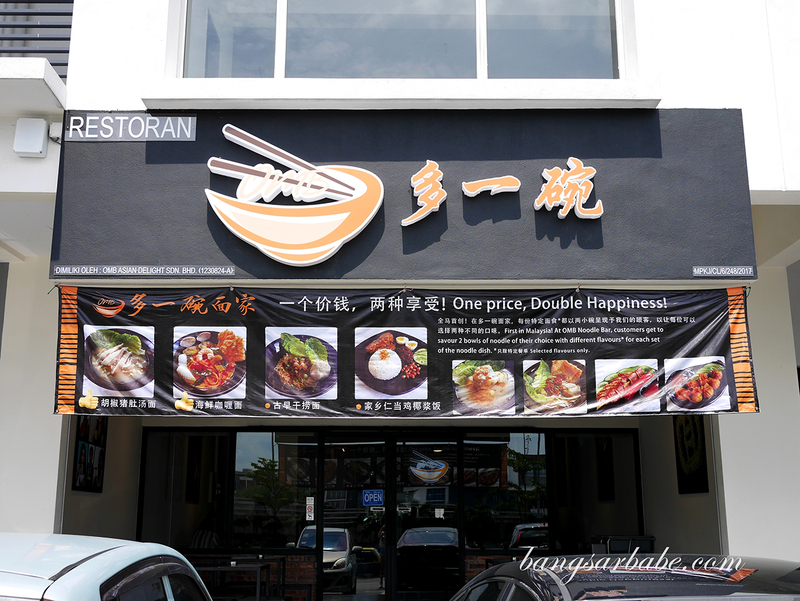 The side dishes at OMB Noodle Bar are also worth checking out, like the OMB Stuffed Beancurd (RM5.50) which is handmade and generously stuffed with meat filling. This was my favourite among all the side dishes. 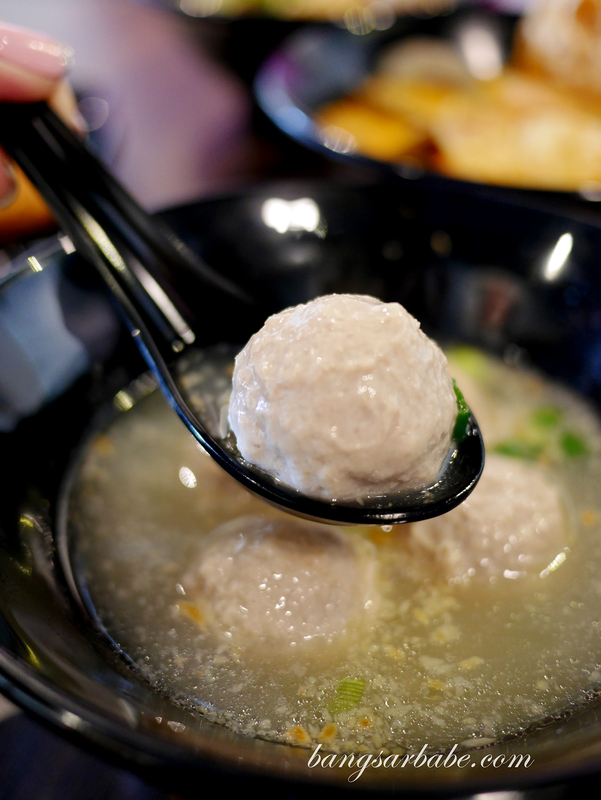 Blasting Meat Ball (RM5.50) is also one of OMB’s best sellers where the large pork balls have a centre of meat filling. 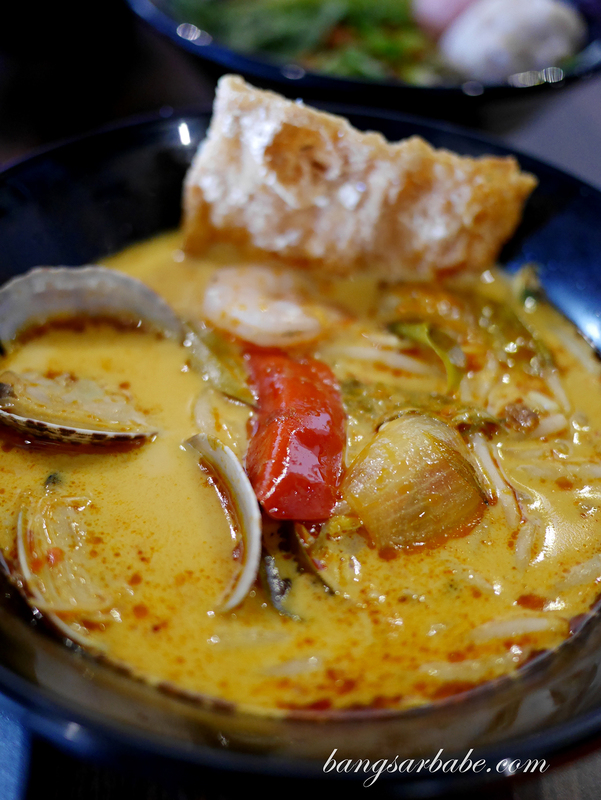 Verdict: The soup bases and most of the ingredients are made in-house, so you get that homely flavour in each bowl. 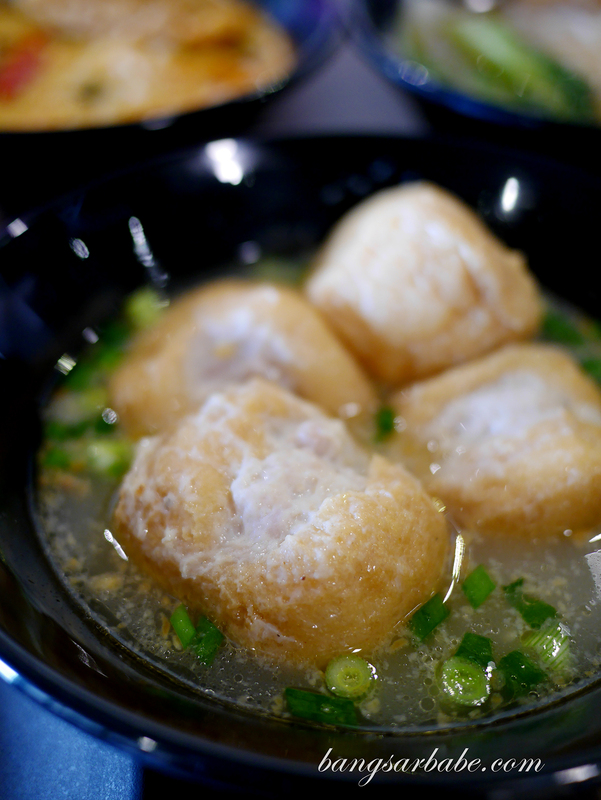 Try the stuffed beancurd!